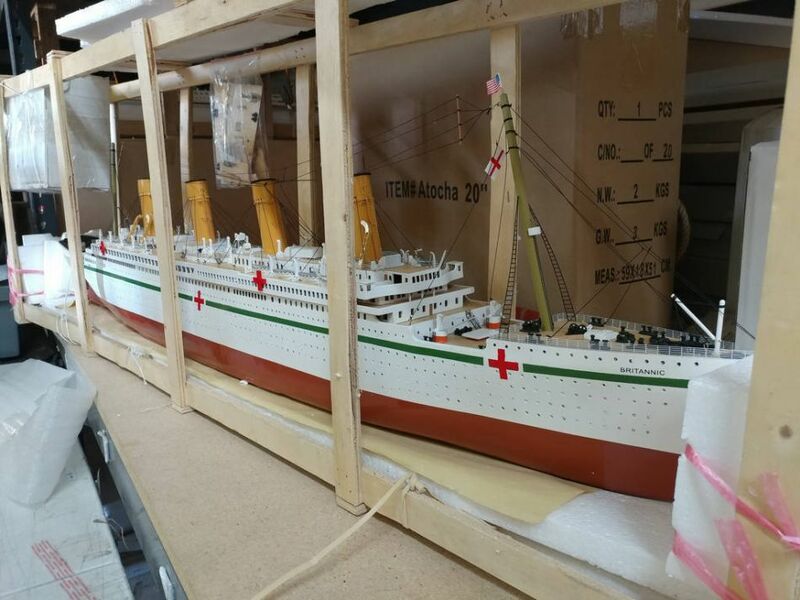 Unmatched in elegance, detailing or craftsmanship, these opulent Limited Edition scale model RMS Britannic replicas are the museum-quality crown jewel of our fleet of RMS Britannic models. Enjoy the exquisitely crafted and delicate features abounding upon her decks, the grace and majesty of her carefully rendered lines, and the attention to every detail of this superlative model of history’s most famous ocean liner. Be swept away by the magnificent splendor and timeless allure of these RMS Britannic replicas. The Britannic was the third of the Olympic class vessels, a trio of giant and luxurious ocean liners (which also included the Olympic and the Titanic) built by the Belfast shipbuilders Harland & Wolff for the White Star Line. The decision for this colossal project was taken in 1907 during a dinner at the home of Lord William Pirrie, chairman of Harland & Wolff. 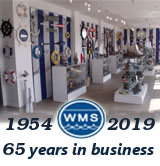 That evening Pirrie met Joseph Bruce Ismay, chairman of the White Star Line and president of the International Mercantile Marine (IMM) -a group of shipping companies owned by the famous American financier John Pierpont Morgan. In 1901 Morgan decided to join the increasing competition between shipping lines for transatlantic voyages between Europe and America. The massive wave of immigration (12 million crossed the Atlantic, heading just to New York, between 1892 and 1920) had made that line very profitable and the supremacy of the two leading British companies Cunard Line and White Star Line was already under serious threat by German, French and Italian companies. Morgan used his usual tactic: the creation of an enormous trust, the IMM. The death of Thomas Henry Ismay, founder of the White Star Line, in 1899 found his son Bruce managing the company under serious pressure. So in December 1902 IMM bought the White Star Line leaving Cunard the only independent British line. It was a huge blow for the British government because now the ships of the White Star Line couldn't be used in the event of a national emergency. First, the British government made an agreement stating that the ships of the White Star Line would remain on the British register and would be available in case of an emergency. In return White Star would not be treated as a foreign company. Second, it loaned Cunard Line £2,600,000 for the construction of two super liners. With government support Cunard launched in 1907 the Lusitania (31500 tons, 24,5 knots) and the Mauretania (31938 tons, over 24,5 knots), the largest and fastest ocean liners in the world. White Star had to react and with the enormous economic resources of IMM entered the battle in 1910 with the Olympic (45324 tons, 22 knots) and the Titanic (46328 tons, 22 knots) in 1911. A third ship would follow in 1914, the Britannic (48158 tons, 22 knots) -originally named Gigantic but renamed soon after the Titanic tragedy. Cunard didn't stand still and had already begun the construction of the Aquitania (45647 tons). The future would reserve many surprises for both companies and this balance wouldn't last for long.